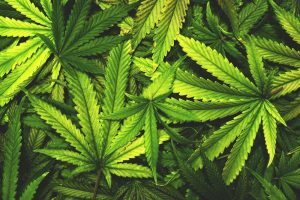 In this day of medical marijuana in some states, and recreational marijuana as well, what is a treatment program to do when it comes to testing for the drug. We checked with the Joint Commission and with the Substance Abuse and Mental Health Services Administration (SAMHSA). Both say the same: test at admission, and from then on, it’s up to you. As for SAMHSA, in 2014, a Dear Colleague letter to OTPs noted that marijuana is still listed as a Schedule I controlled substance (and it still is in 2016). In accordance with federal law, SAMHSA still views marijuana as an illicit drug in all OTPs, regardless of the state they operate in. This means SAMHSA, as a federal agency, does not accept medical marijuana or recreational marijuana. As for drug testing, however, marijuana testing is required only at admission. However, any additional testing, beyond admission, “is based on individual patient need and local drug use patterns and trends,” states SAMHSA. Using alcohol and methadone together “can create health concerns that are more severe based on the combined use of these two substances,” added SAMHSA. “Individuals who mix methadone and alcohol may be more likely to experience respiratory depression, irregular heartbeat, drowsiness, and coma. SAMHSA offered the following evidence of the harms of marijuana, including citations. Early (animal) studies show that early THC exposure can weaken the dopamine system in the reward areas of the brain—an effect that, in humans, would explain why early and chronic marijuana use may increase the likelihood of developing other substance use disorders later in life. Agrawal A, Neale MC, Prescott CA, Kendler KS. A twin study of early cannabis use and substance use and abuse/dependence of other illicit drugs. Psychol Med. 2004; Oct;34(7):1227-37.) “This potential risk factor could further complicate the treatment course among those already struggling with substance abuse disorders,” stated SAMHSA. The takeaway from all of this information: you do not have to test OTP patients for marijuana once they are admitted, but you may want to provide education about the deleterious effects of combining marijuana with methadone. Even more important, however, you may want to bring up alcohol–which just about nobody tests for because it doesn’t show up in urine tests. SAMHSA and the Joint Commission wisely leave testing decisions up to clinicians. Federal Guidelines for Opioid Treatment Programs. http://store.samhsa.gov/product/PEP15-FEDGUIDEOTP. Scavone JL, Sterling RC, Weinstein SP, Van Bockstaele EJ. Impact of cannabis use during stabilization on methadone maintenance treatment. Am J Addict. 2013;Jul-Aug;22(4):344-351. doi: 10.1111/j.1521-0391.2013.12044.x. Medication-Assisted Treatment for Opioid Addiction in Opioid Treatment Programs: Chapter 9. Drug Testing as a Tool. https://www.ncbi.nlm.nih.gov/books/NBK64151/.